Leave your job and start the business today. It is most common advice given by everyone. However, very few follow this advice. The main reason for not following this advice is traditional approach taught to us in the school. Go to Shcool, get a good degree and find out a job for your survival. 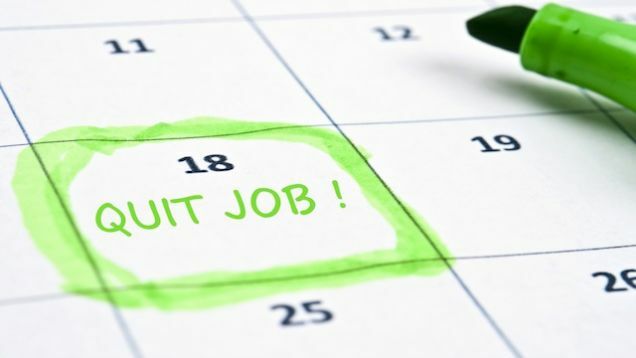 If your job is stressful, inconvenient and not paying enough money time has come to leave your job and start a business.Here are few convincing reasons and business ideas for leaving the job and starting a business. Job insecurity is first and foremost reason to consider for leaving a job and starting a business. Job insecurity means a lack of assurance that your job will remain in future or not. The main reason of job insecurity are poor financial performance, increasing competition, and corporate policy changes. If you are going through a feeling of job insecurity you must leave your job and start own business. other business functions. Whereas in business you will get exposure to all business processes. Gone are days where you will be paid life long pension or you will be bind with social security. No pension is payable to the employee except government organizations. In limited salary, it is very difficult to build a corpus for retirement. In a job, you will be always paid with limited money. You will not come know your worth when you are doing a job. The limited money increases dissatisfaction level which is the main reason for leaving a job and starting a business. You will lose your freedom and become a slave when you are doing a job. You should start your own business if you wish to become your own boss and live your life on your own terms. In job your employer always dominate you and your choices. You will be underprivileged and undervalued and you don’t have any options. Hope reasons mention above is enough to convince you that starting a business is the best option. So, what are you waiting for leave your 9 to 5 job and start your first business now.